Clinics vary from week to week focusing on different areas of the game including: putting, chipping, iron shots, tee shots, bunker shots, course management and rules. 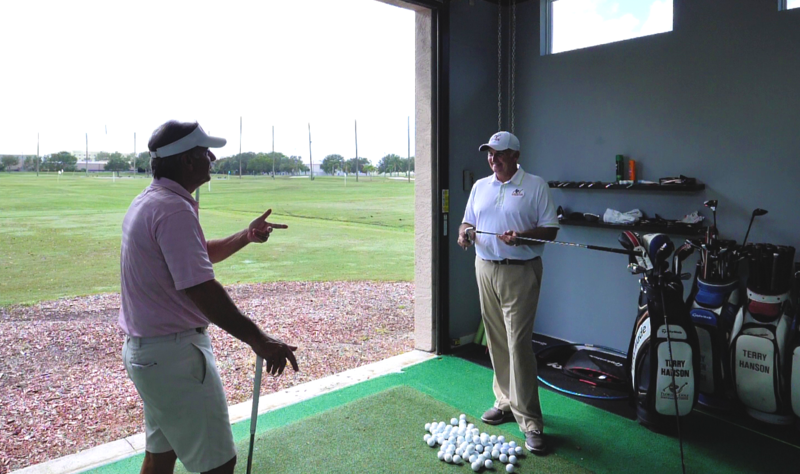 Whether a beginner, visiting the Sarasota-Bradenton area or both, we have full sets of golf clubs available to rent or are happy to loan a single club for no charge to use during the clinic or just practice on the driving range. We have junior, ladies and men’s clubs and can accommodate both right and left-handed golfers. Lessons, clinics and camps take place on the driving range, putting green, practice bunker and golf course. We have an indoor facility in case of inclement weather. $20 and include 1-hour teaching session and complimentary bottle of water. $20 and include 2-hours teaching session and complimentary snack and beverage. Private lessons, $60/30 minutes, $90/hour, Series of 4 for $200. Each lesson is 45-minutes. We will cover all aspects of the game of Golf, including; putting, chipping, pitching, sand, irons, woods, course management and sportsmanship. Most importantly, we will have fun! Golf is the game of a lifetime! Learning to golf or in need of polishing-up your game? One-on-one, private instruction is for you. A PGA Professional can assist you with every part of your game as well as custom club fitting. Cost: Private lessons, $60/30 minutes, $90/hour, Series of 4 for $200. Each lesson is 45-minutes. A fun, interactive clinic for all levels to learn and improve their game. Look for additional Youth Camps to come! 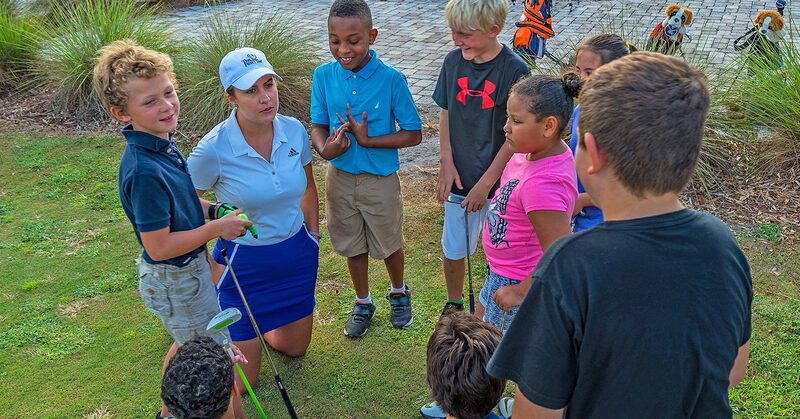 Every summer from 8 a.m. to 12 p.m.
All golf instruction performed at Suncoast Golf Center is led by The Florida Golf Performance Center (FGPC), a PGA recognized golf school located onsite at Suncoast Golf Center. The FGPC is a performance center dedicated to helping players improve in any and every area of their game. The center is run by Terry Hanson and Stephen Arnold. Each instructor specializes in specific areas so that they can work as team to help their students improve. The FGPC specializes in player development and have put plans together for players of all abilities to help them reach their goals. The FGPC utilizes the best in technology including Trackman and SAM Puttlab.